County law enforcement said Thursday they were pleased by an announcement that Ocean County would join the New York-New Jersey “High Intensity Drug Trafficking Area” program. The county’s inclusion in the program was announced by U.S. Sen. Cory Booker, who said the designation would help bring more resources to the county to fight its ongoing heroin epidemic. The county will now be able to receive federal resources to “further the coordination and development of drug control efforts among federal, state, local law enforcement officials,” Booker said in a statement. 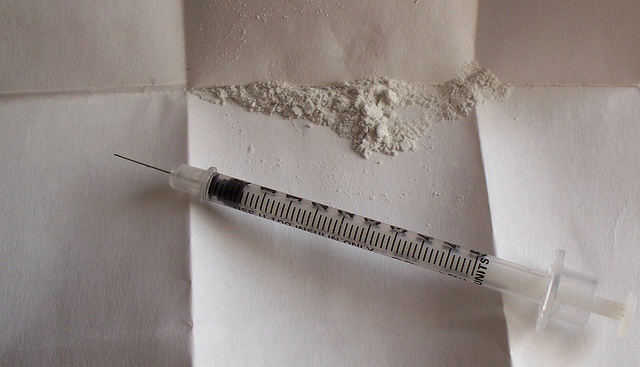 According to NY/NJ HIDTA data, in 2015 Ocean County had the second highest incidence of heroin-related deaths in the New Jersey, due in large part to the large influx of potent heroin laced with toxic adulterants, including fentanyl. HIDTA was created by Congress through the Anti-Drug Abuse Act of 1988, and provides assistance to federal, state, local, and tribal law enforcement agencies operating in areas determined to be critical drug-trafficking regions of the United States. In July, Booker was joined by Brick Township Mayor John Ducey, Coronato, health professionals, advocates and residents in recovery for a roundtable discussion at Ocean Medical Center on the heroin and opioid addiction crisis in New Jersey and how the Affordable Care Act has helped expand treatment for individuals battling addiction across our nation. Booker began advocating for the county’s inclusion in the program afterwards. Monmouth County received the same designation in 2016, and since, has received $125,000 in federal funding to support a team led by the Monmouth County Prosecutor’s Office consisting of the Drug Enforcement Administration (DEA), Federal Bureau of Investigation (FBI), local law enforcement and other partners to focus on opioid- and heroin-related investigations and outreach.